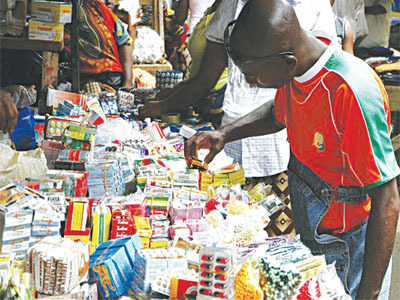 TO ensure that consumers of regulated products are delivered with quality and safe products, the National Agency for Food and Drug Administration and Control (NAFDAC), has called for effective regulation and collaboration in order to move the sector forward. NAFDAC Director General, Dr Paul Orhii, who made the call at the second NAFDAC Regulatory Forum in Lagos, said effective regulation was key to ensuring access to safe and quality health products in Nigeria. Reeling out the benefits of effective collaboration, Orhii said adopting such approach would bring about increased regulatory capacity, improved regulatory infrastructure, private sector participation, confidence in the systems and also strengthen the regulatory processes. Orhii added that the essence of control and regulation was to protect public health by ensuring that only quality-regulated products that are safe and wholesome get to the consuming public. Director, Registration and Regulatory Affairs of NAFDAC, Dr. Monica Hemben Eimunjeze, stated that collaboration among stakeholder holds the key in sanitising the regulatory sector. “We strongly believe that collaboration is a key element to ensure success in regulation and remain resolute in our commitment to build stronger local, regional and international networks. Also, Chairman, Pharmaceutical Manufacturers Group of Manufacturers Association of Nigeria, (PMG-MAN), Mr. Okey Akpa, said if the industry must grow, effective collaboration must be accorded priority.